Led light therapy is a non-invasive treatment that harnesses the power of pure light for visibly radiant, rejuvenated and refined skin. It delivers skin specific combinations of clinically proven Blue, Red and Near Infrared wavelengths to boost collagen and elastin production, improve circulation, reduce redness and irritation and destroy blemish causing bacteria. 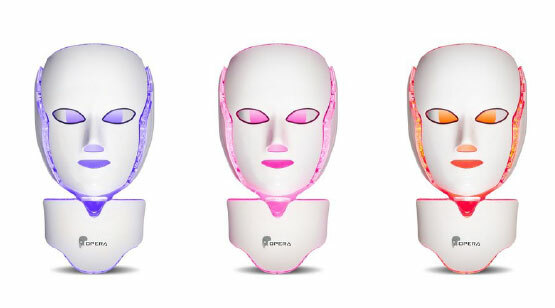 After just one treatment light therapy instantly revitalises the complexion to restore luminosity. Skin feels dewy, hydrated and calmed. It also gives you a little energy boost! A course offers long lasting visible results, stimulating the skins natural repair processes to speed up cell renewal, resolve problem skin conditions and promote vibrant healthy looking skin! A galvanic current is used with a hydrating mask to increase blood circulation to the skin. This treatment can be used alone or as an add on for 10 minutes on top of our other facials to penetrate the products deeper into the skin for ultimate skin rejuvenation.